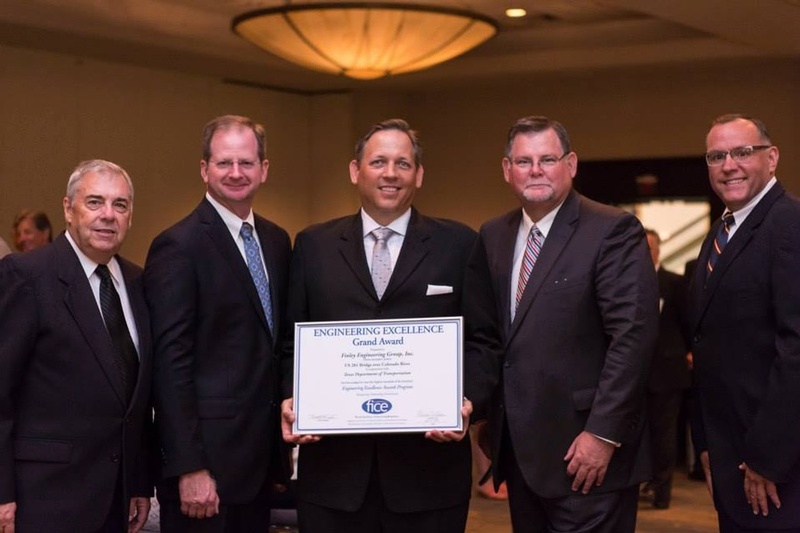 2015 FICE Engineering Excellence Grand Award. 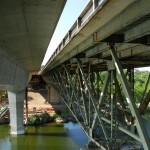 Structures. 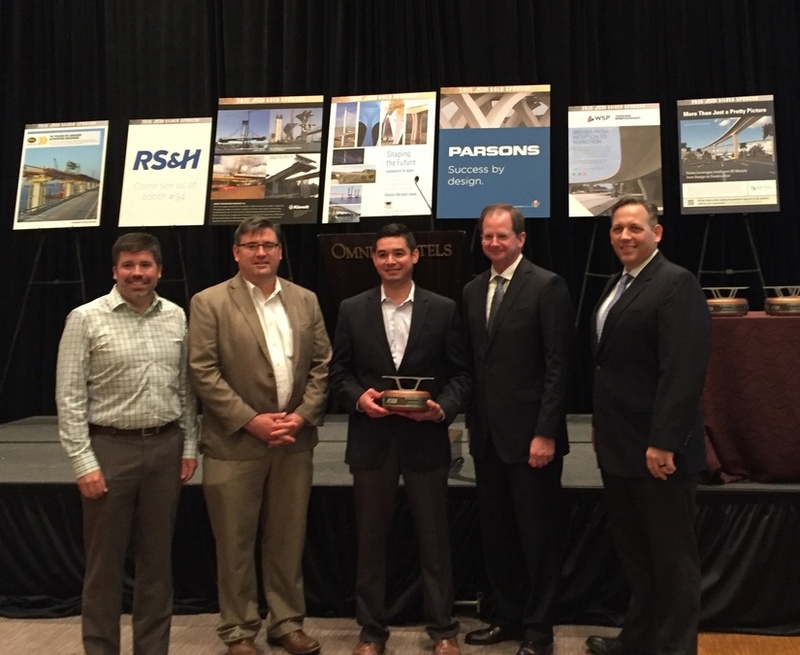 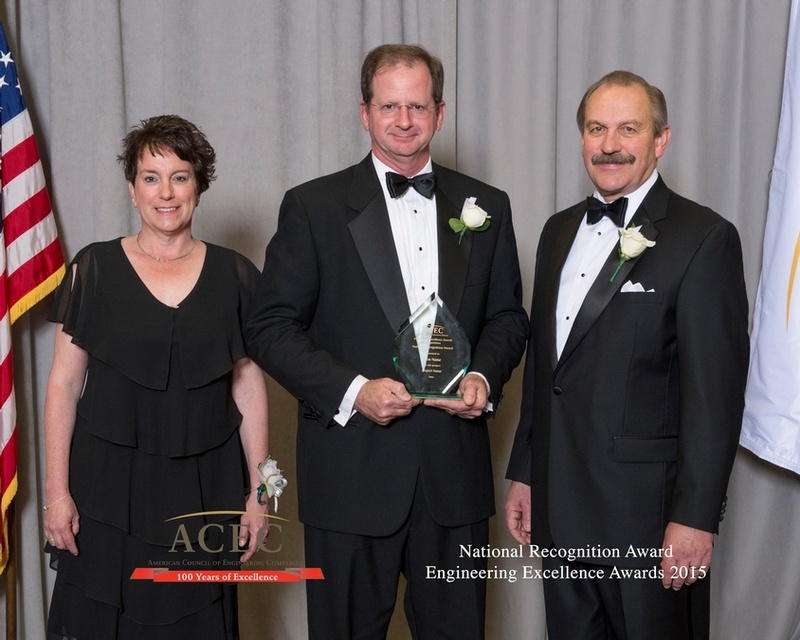 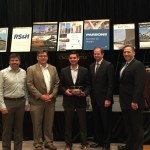 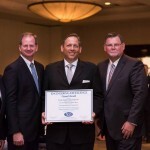 2015 ACEC Engineering Excellence Honor Award. 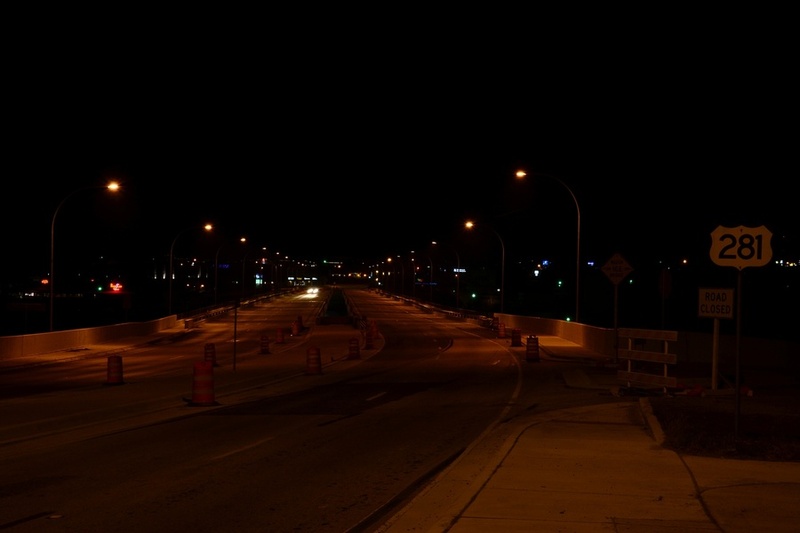 Aspire Magazine, Spring 2013, Robert Alonso, S.E., P.E. 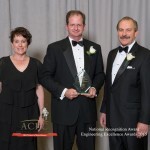 Jay Simms, Senior Project Manager Archer Western Contractors, Ltd. 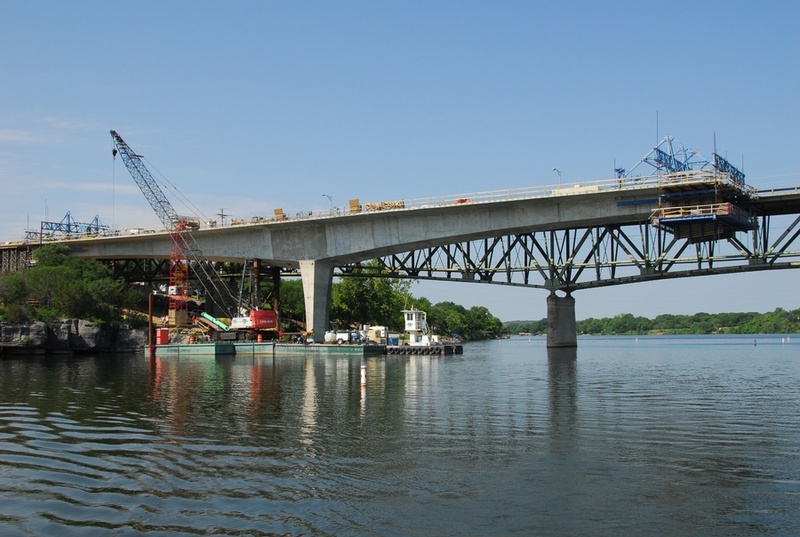 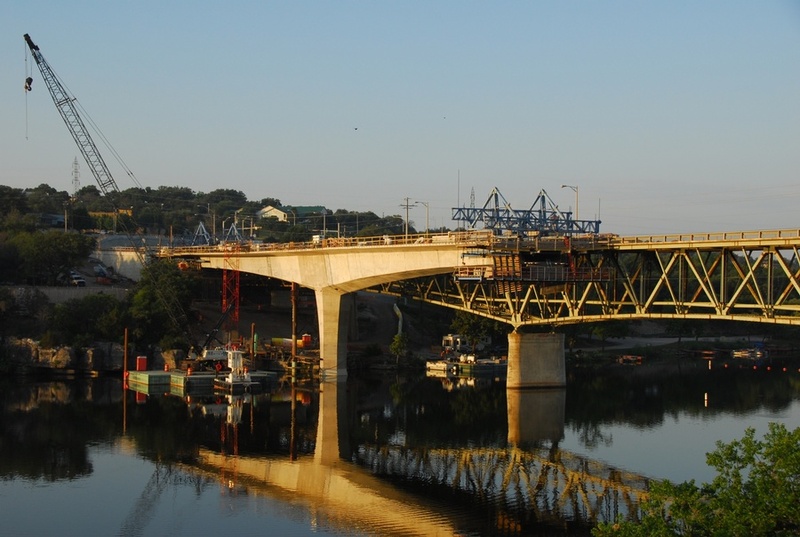 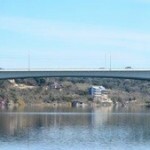 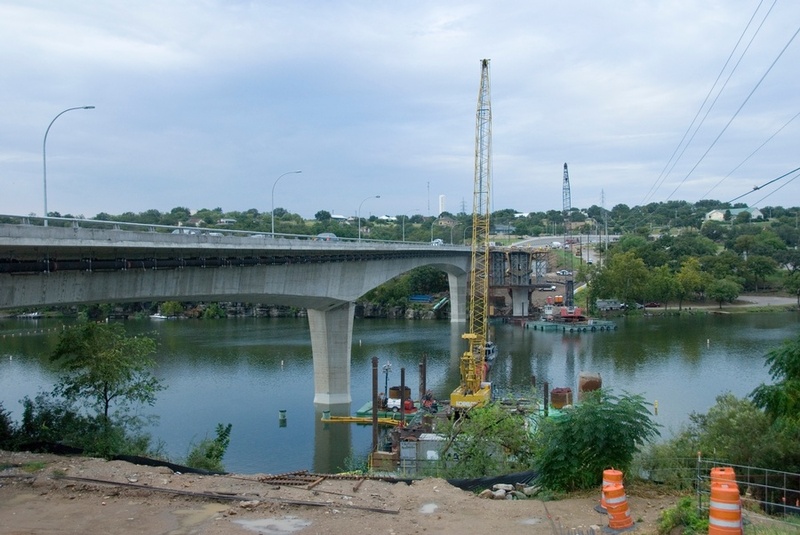 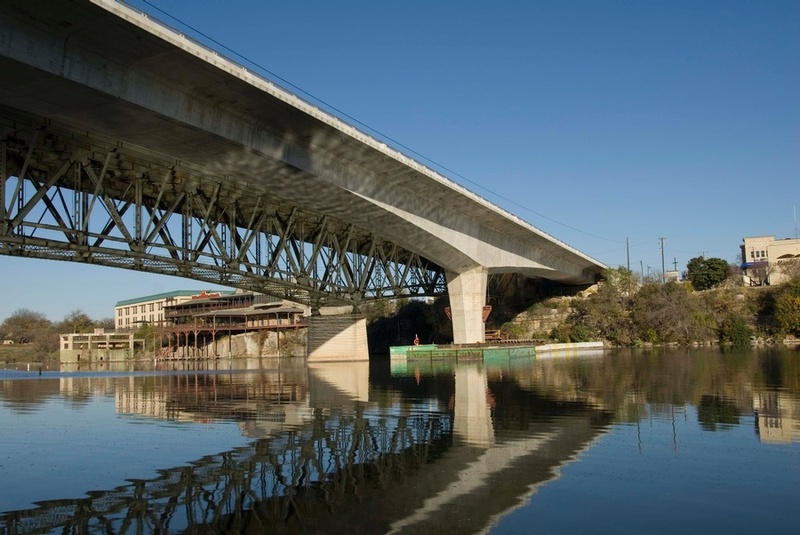 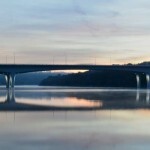 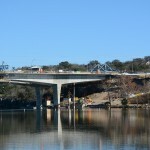 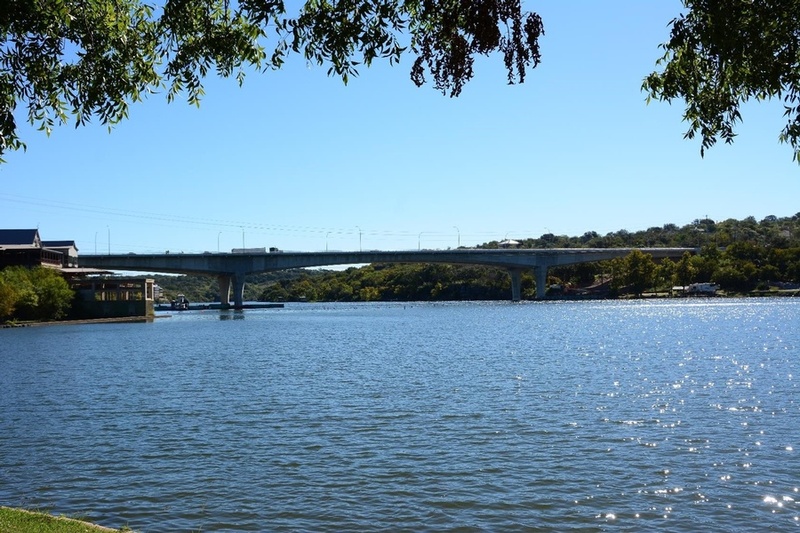 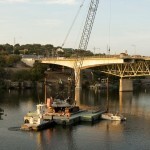 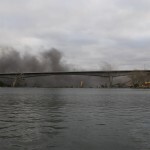 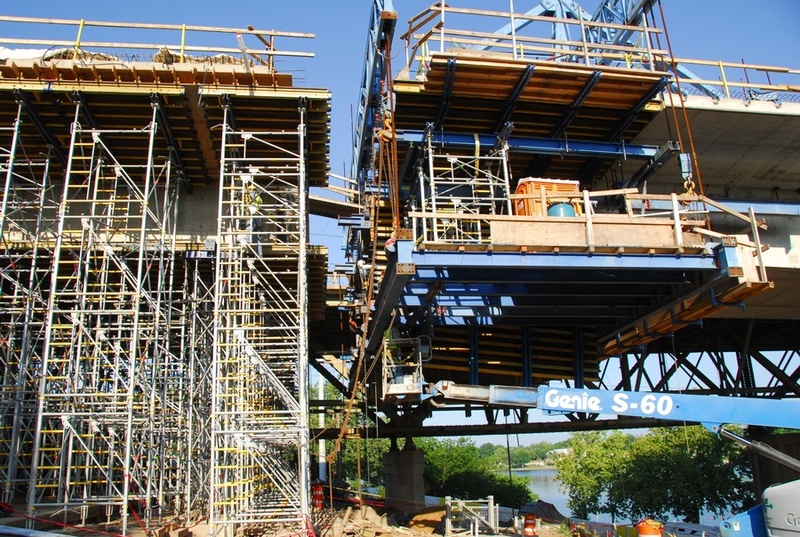 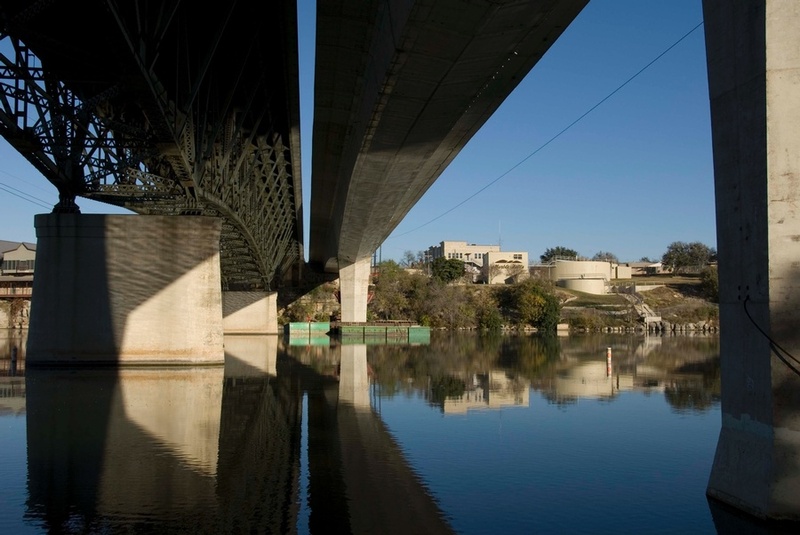 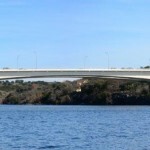 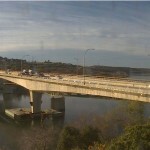 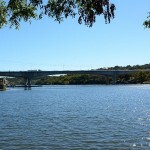 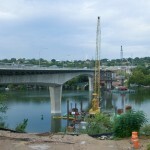 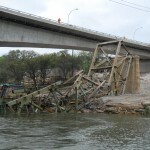 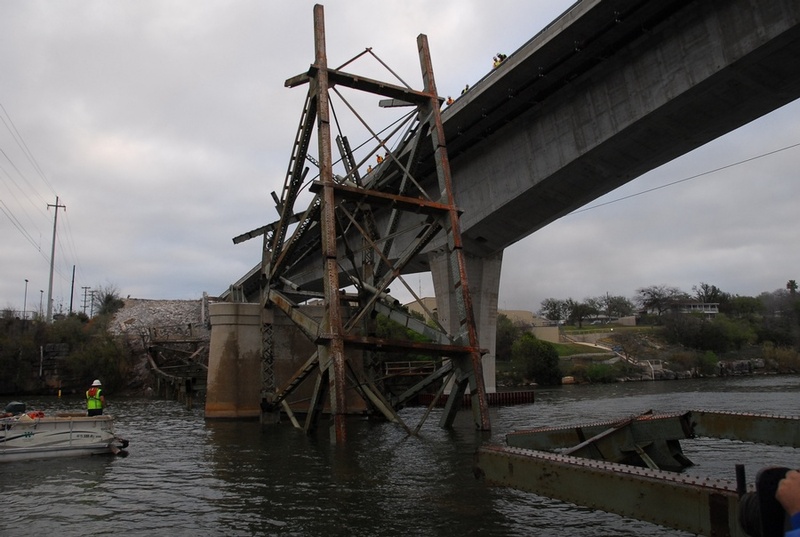 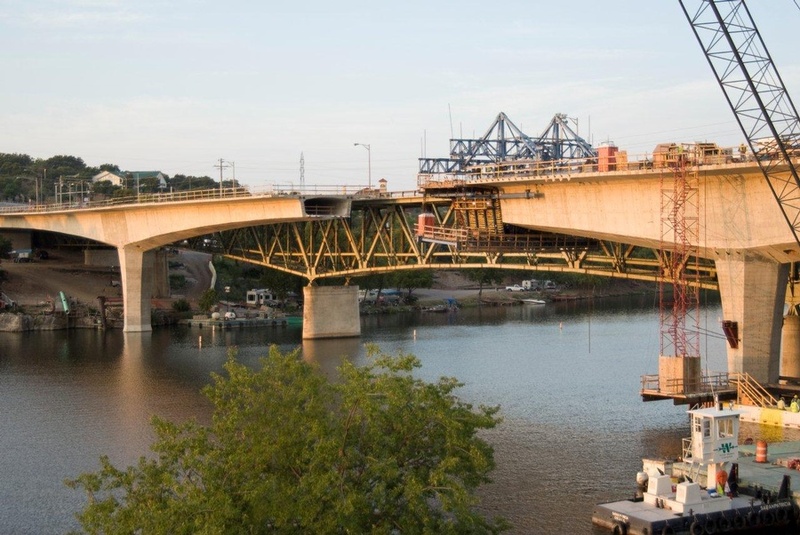 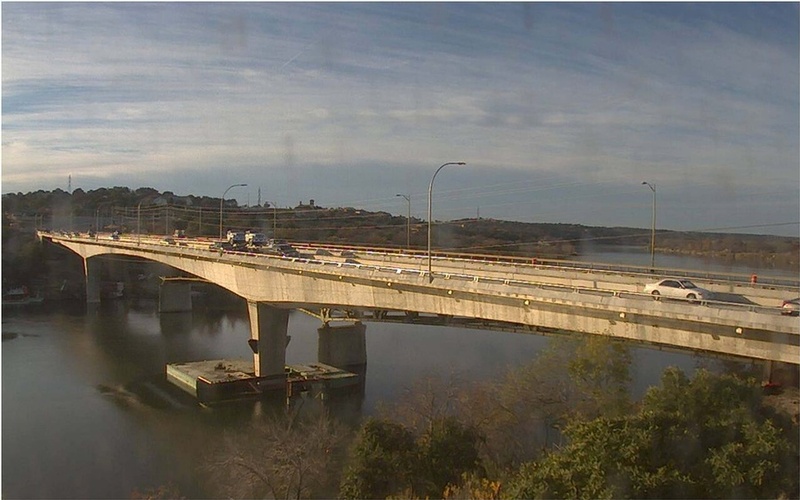 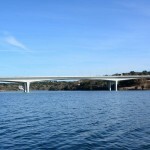 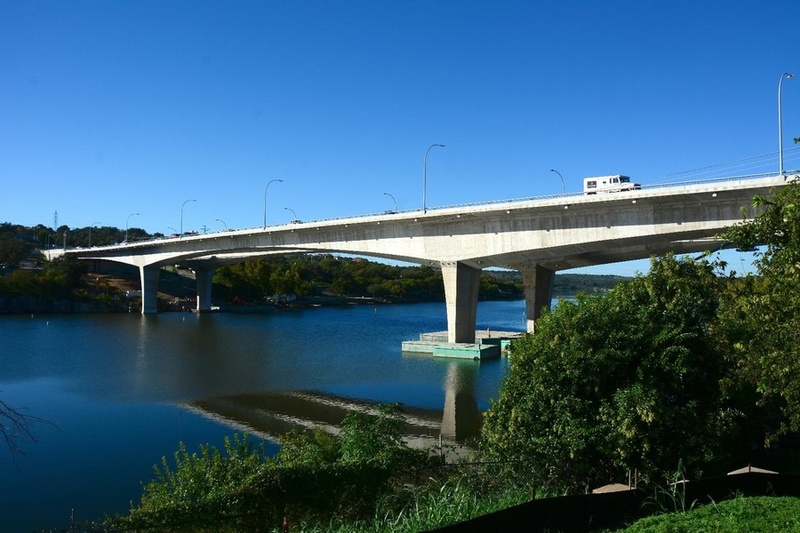 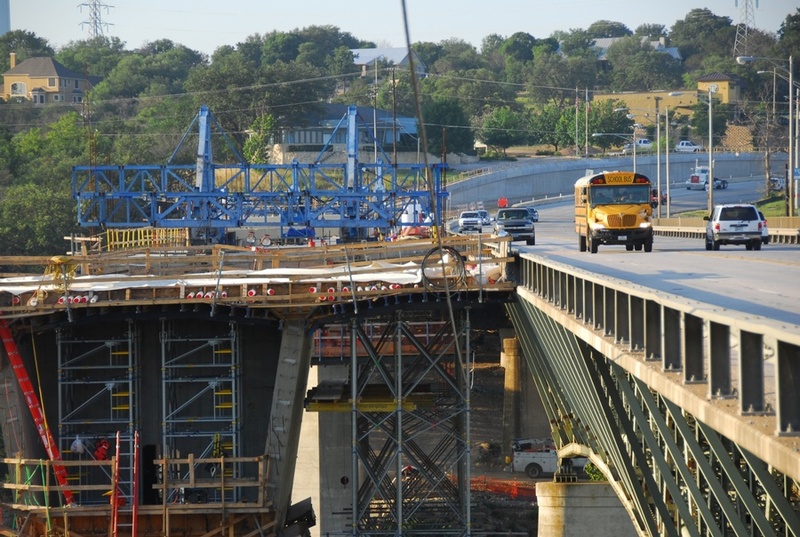 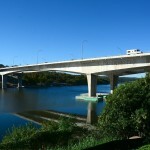 The Texas Department of Transportation wanted to replace the Lake Marble Falls bridge with two new bridges in order to improve safety and mobility. 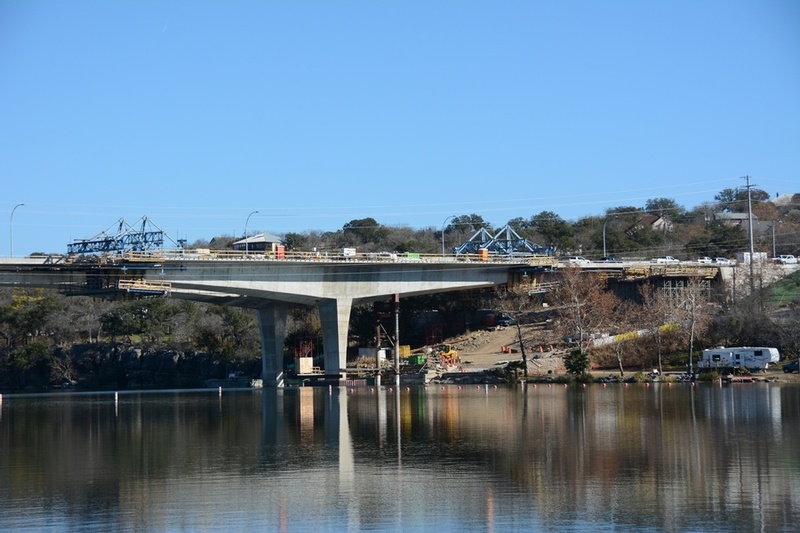 The new twin US 281 bridges carry two lanes each in opposite directions, replacing a functionally-obsolete steel truss bridge built in 1936. 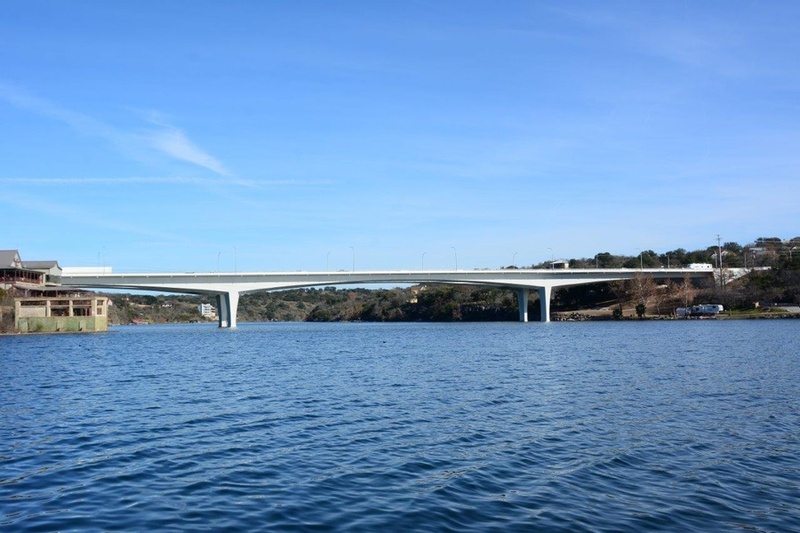 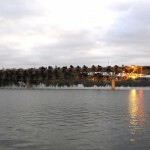 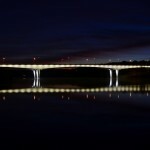 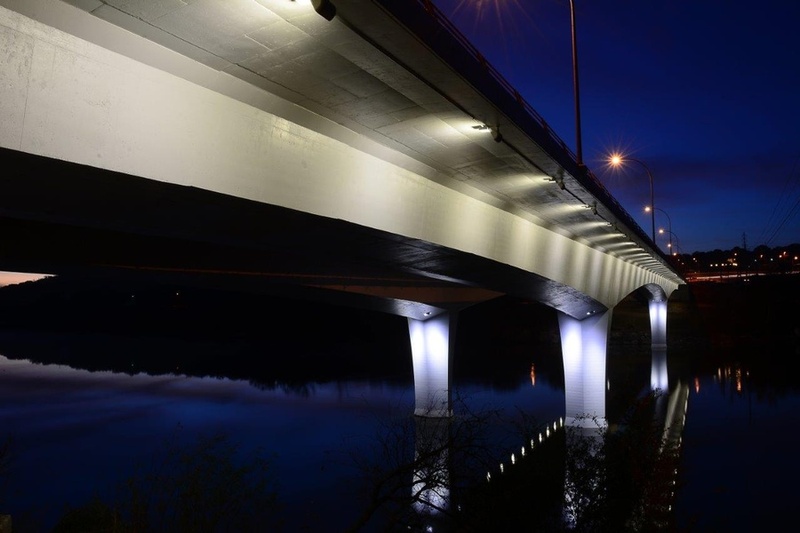 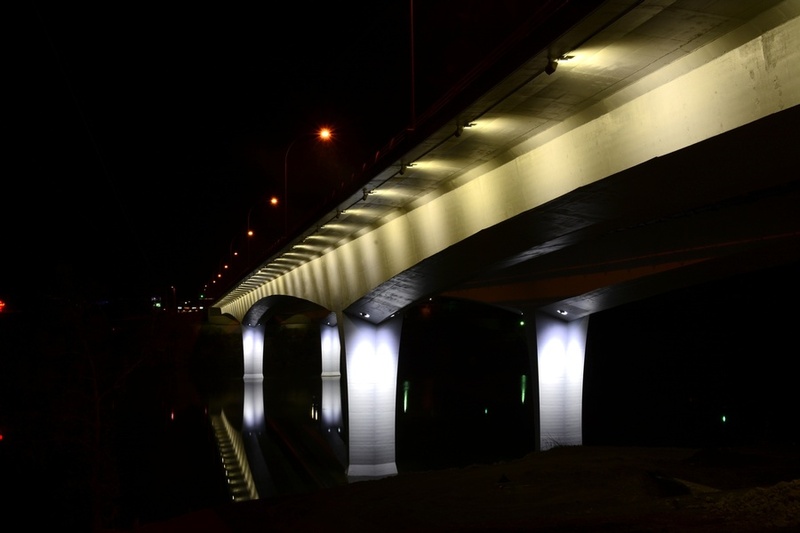 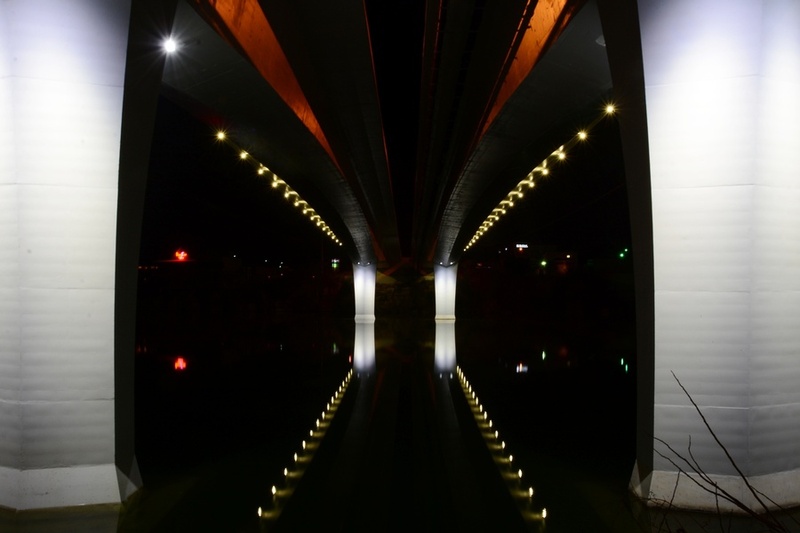 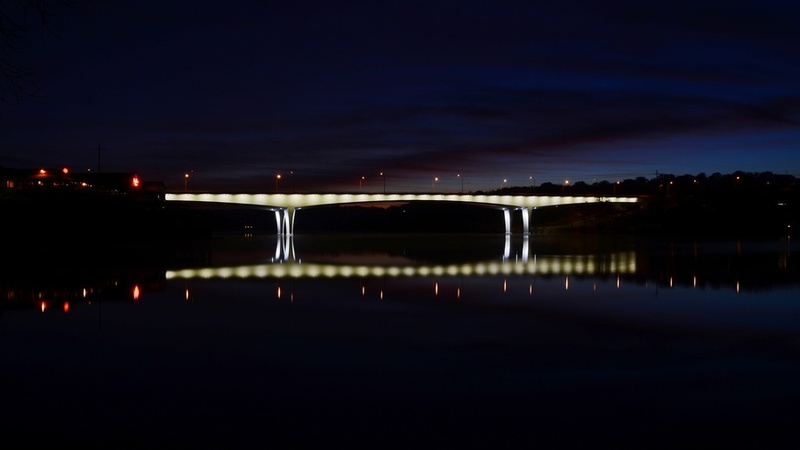 The 958’ long bridge is a 3-span (274’-410’-274’), variable depth, cast-in-place segmental superstructure with a 47’-wide deck with 6’ wide sidewalks and a fully lighted substructure. 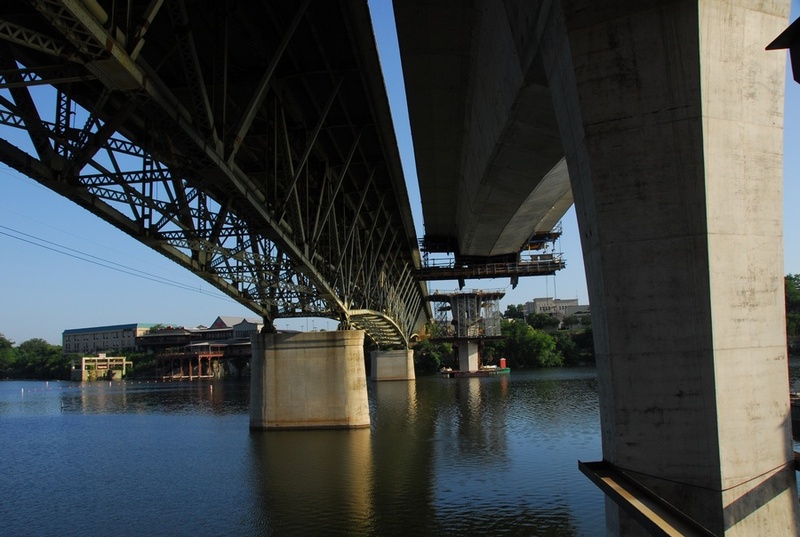 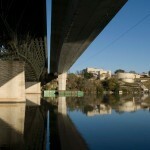 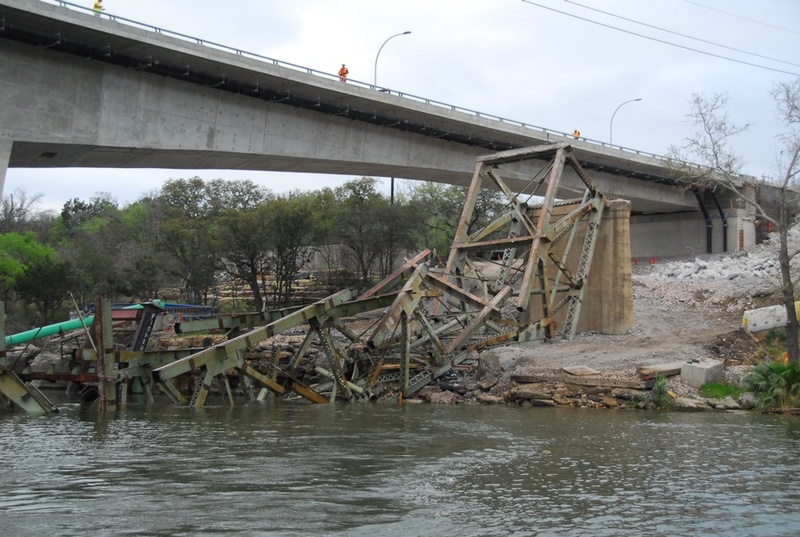 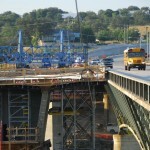 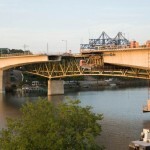 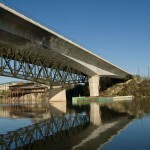 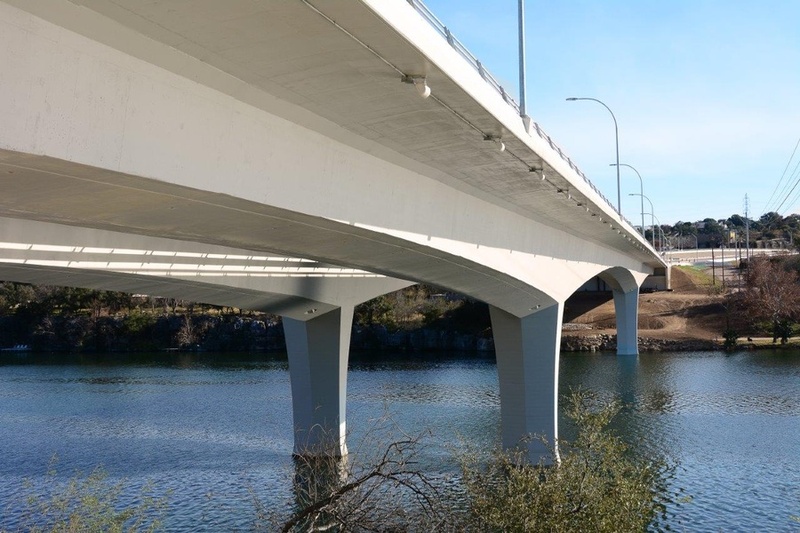 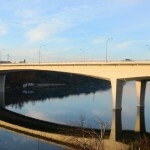 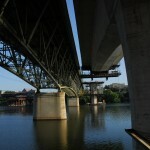 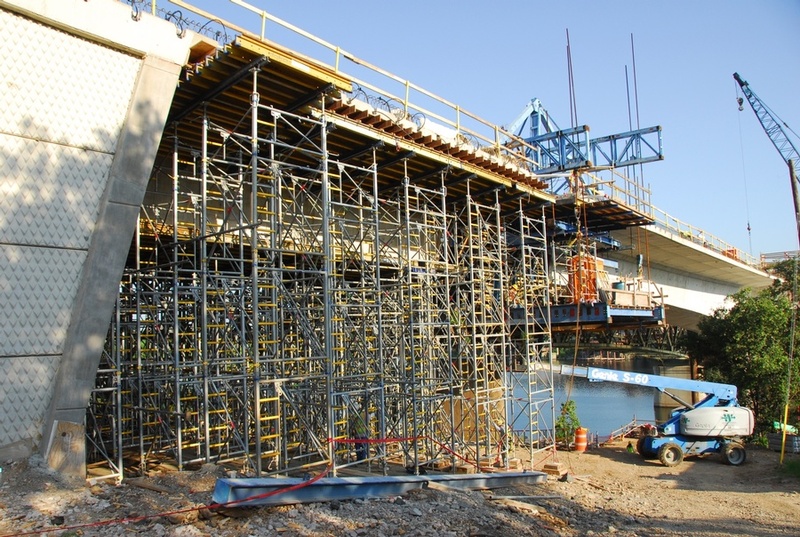 The bridges were built utilizing the balanced cantilever construction method with end spans constructed on falsework. 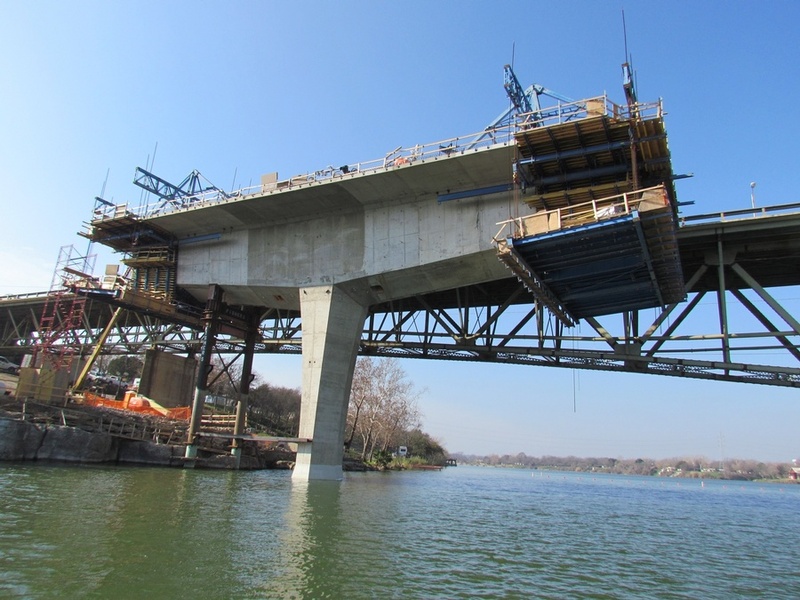 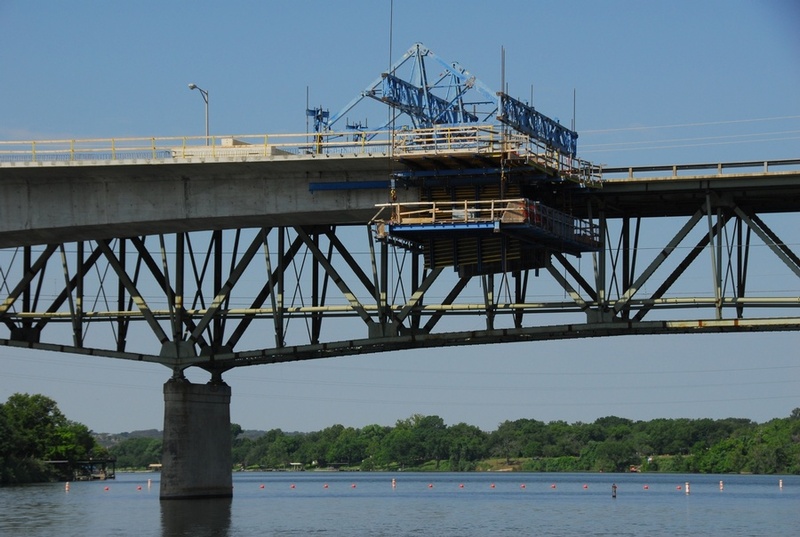 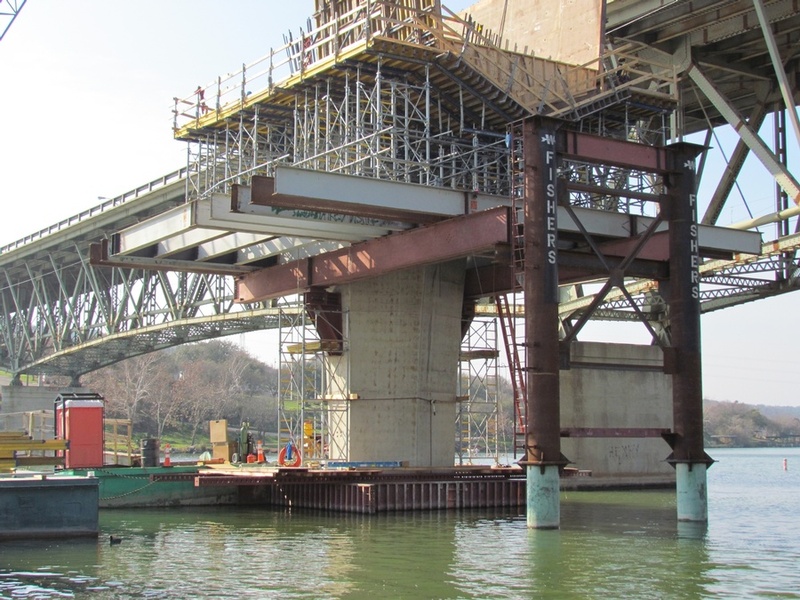 The box depth varied from 23’-0” at the interior piers to 9’-6” at the end spans and a variable superelevation up to 5.5%. 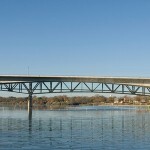 It is the second longest main span for a segmental bridge in Texas and the only segmental bridge in Texas with no approach spans. 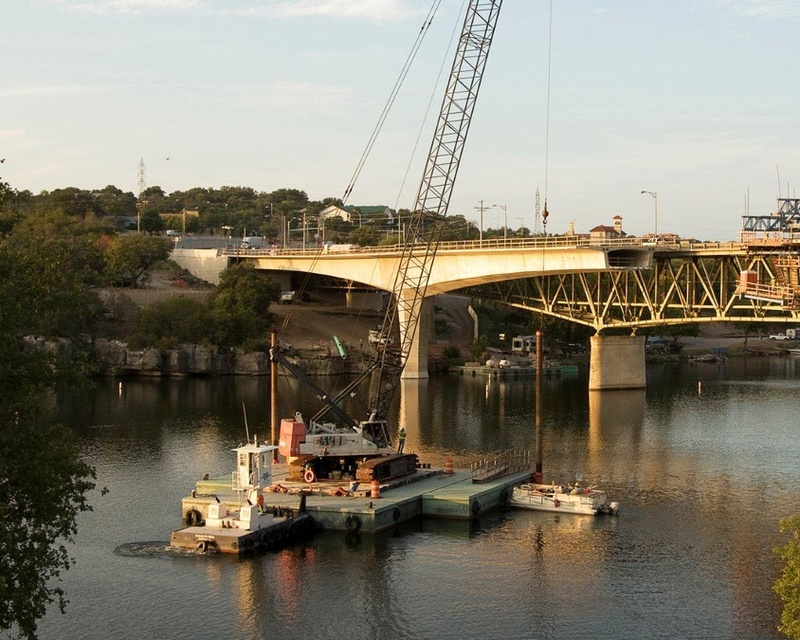 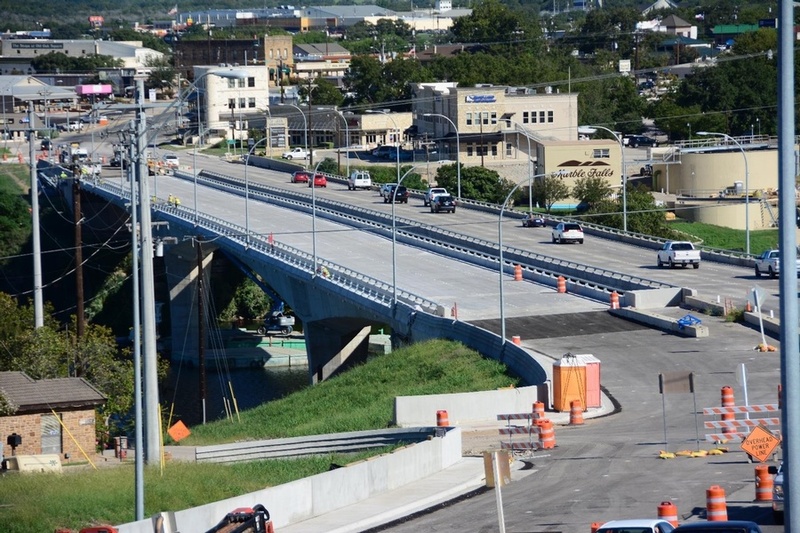 The FINLEY-Archer Western Contractors Team proposed design modifications as well as means and methods met all project requirements, including a stunning signature bridge that was more efficient, saving $2 million dollars (5% below TxDOT’s estimate). 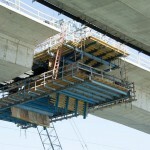 A major change to the design was the modified pier table and segment lengths. 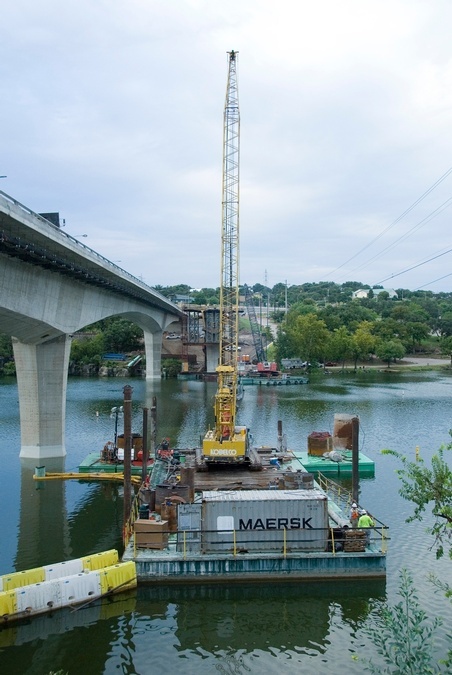 Because the river bed and adjoining cliffs are hard limestone and the lake is a major tourist attraction, TxDOT wanted the bridge to have the fewest piers necessary in the water. 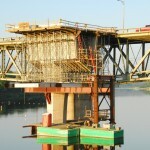 This innovative approach reduced the pier table length by 40%, saving approximately 12 weeks of construction time. 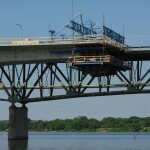 The design modifications included the use of the contractor’s form traveler from another job site and were available for this project. 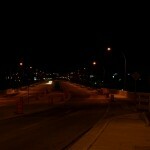 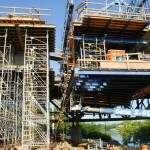 This provided a cost savings of $750,000. 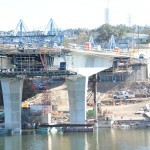 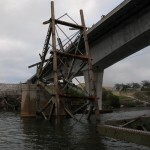 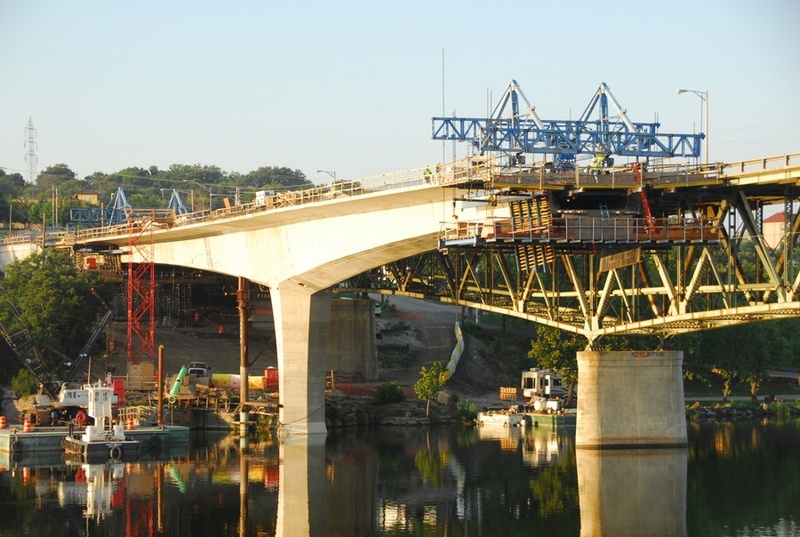 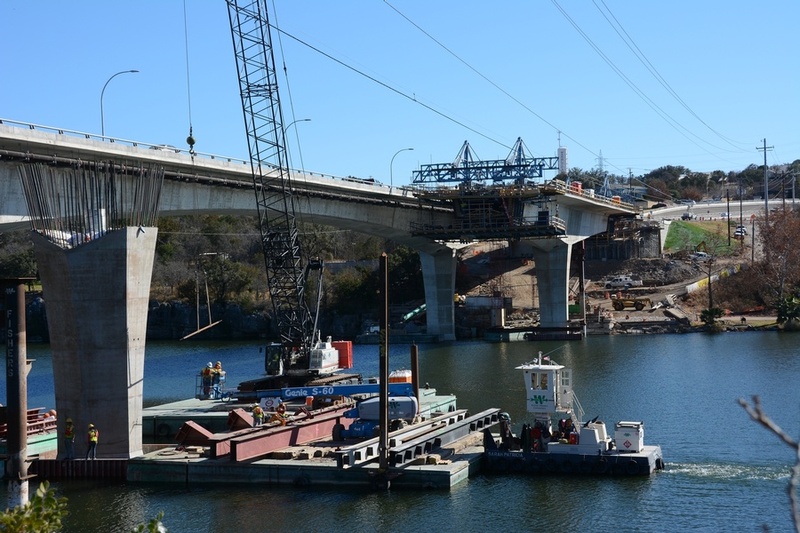 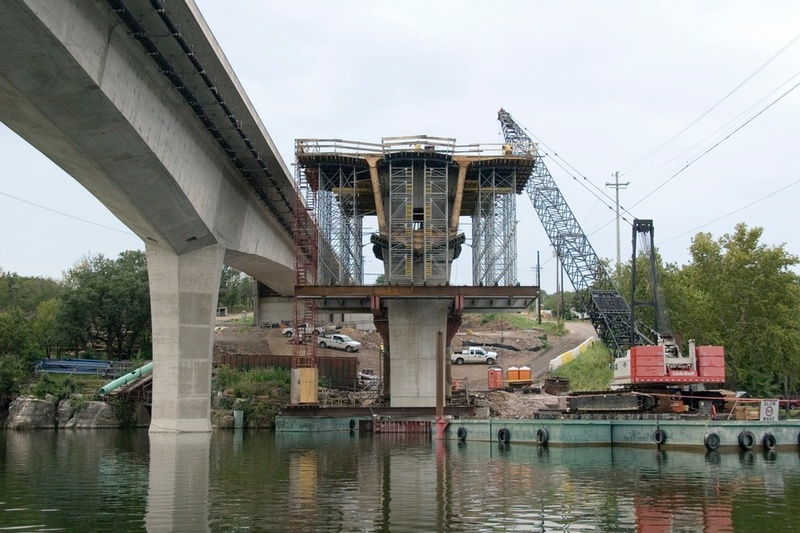 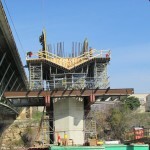 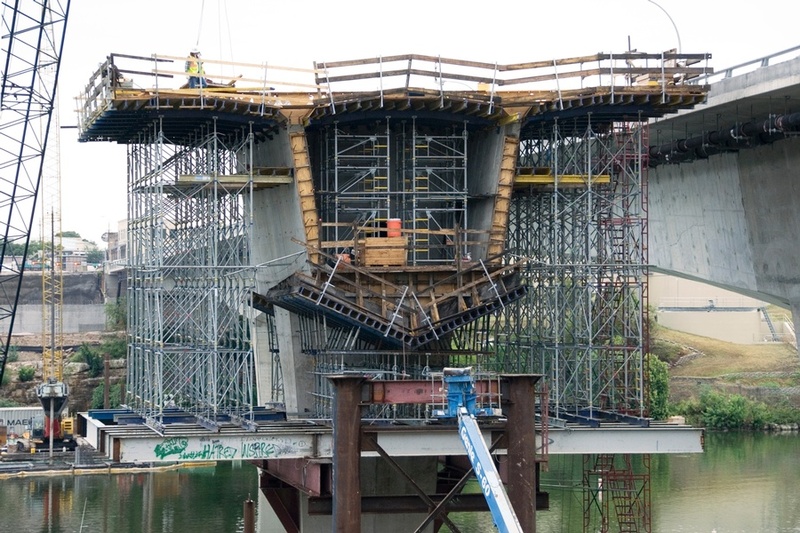 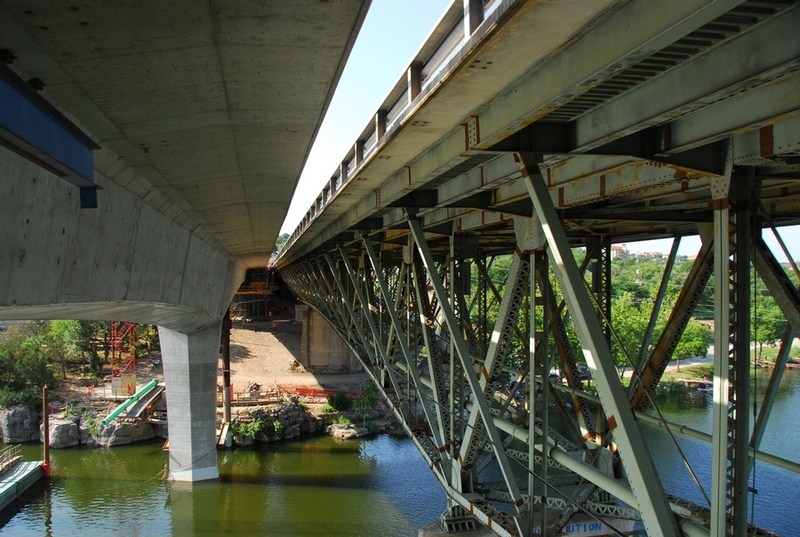 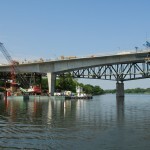 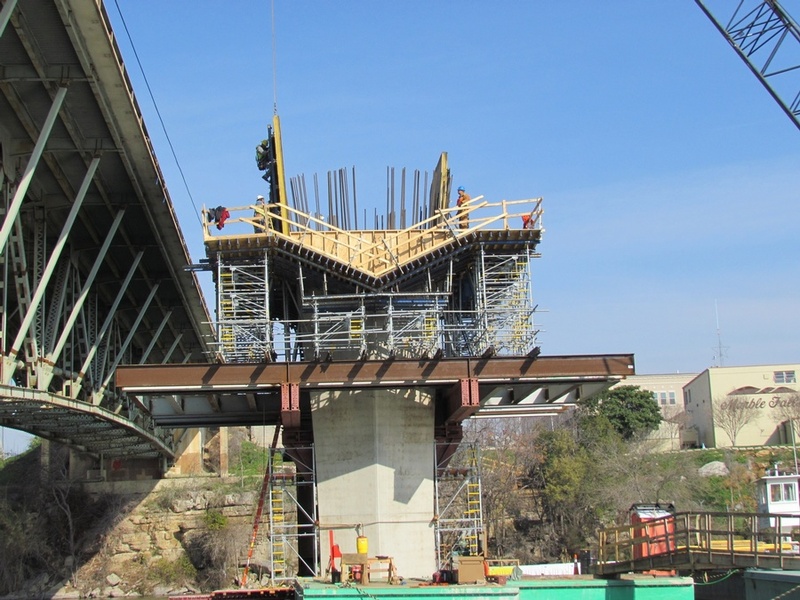 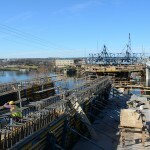 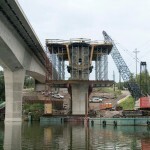 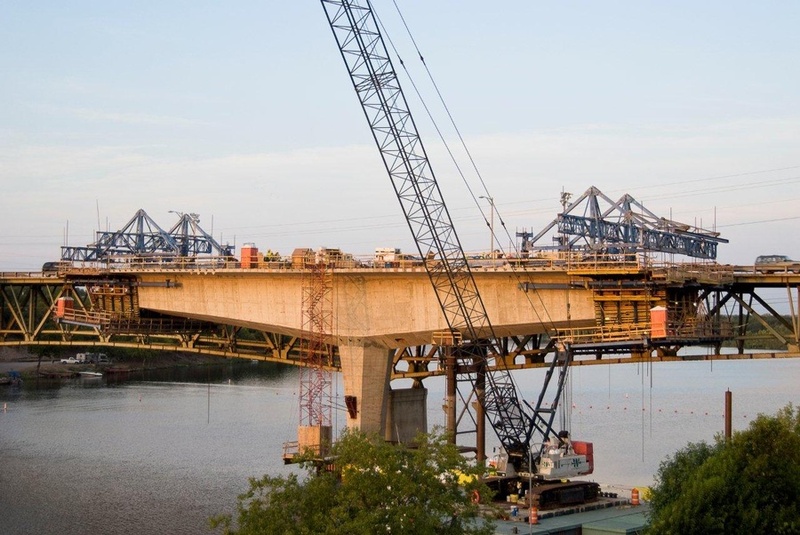 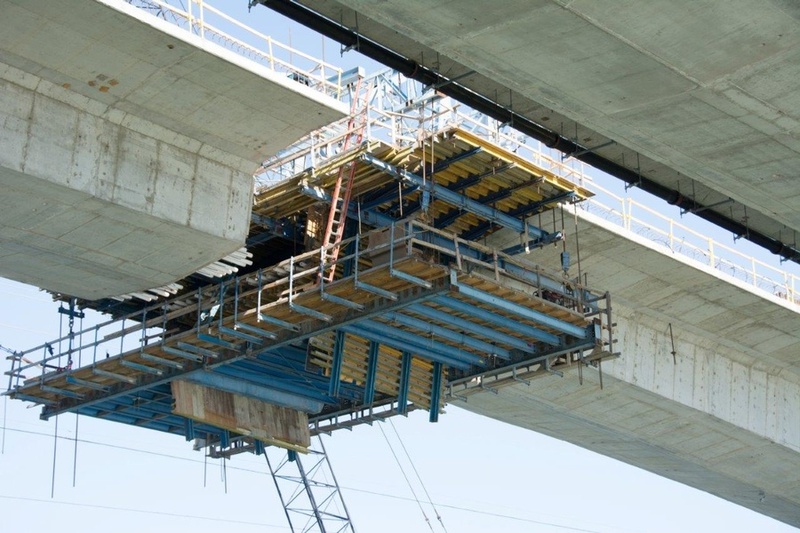 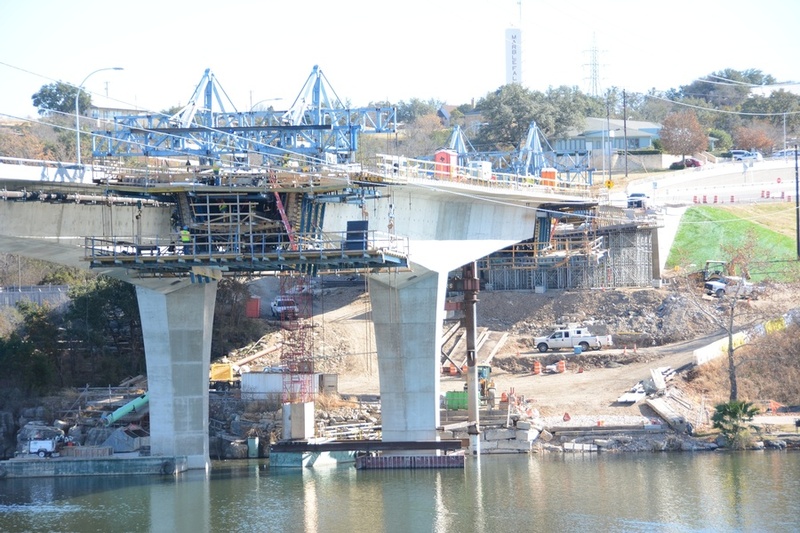 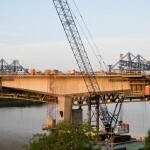 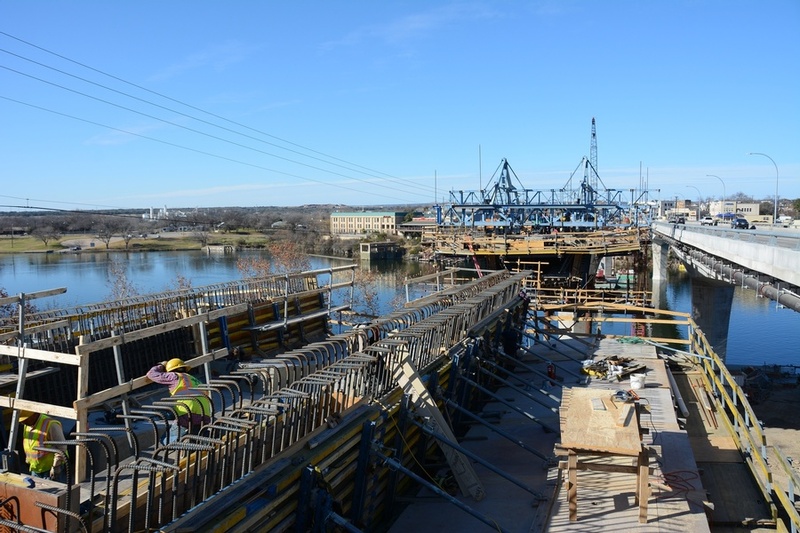 The cast-in-place segmental construction method used form travelers, which required less labor-intensive falsework construction for the support of the bridge during construction and saved several months of construction time. 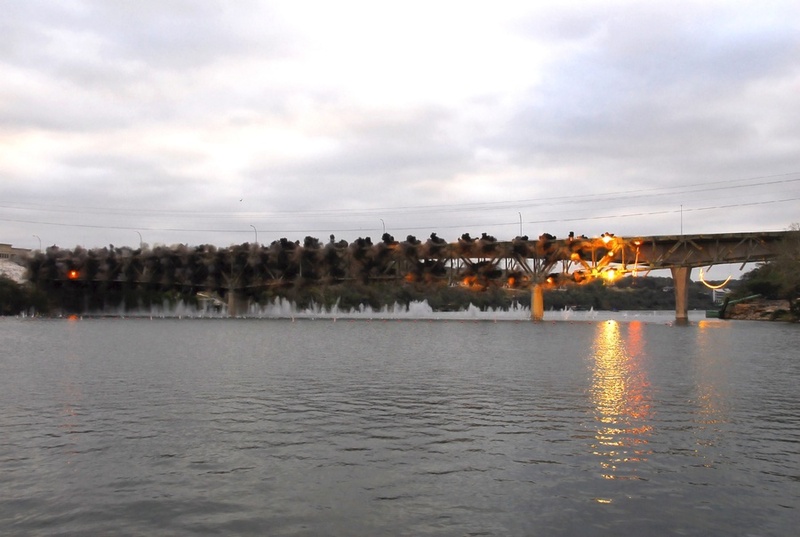 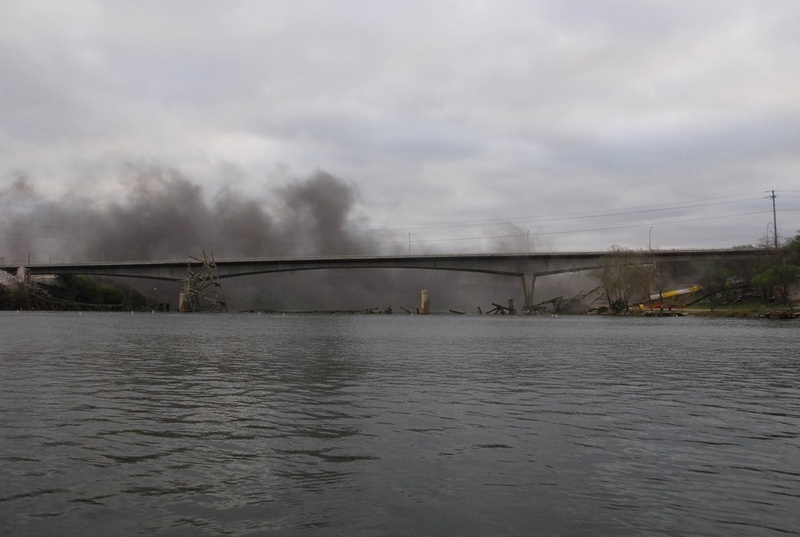 Traditional cofferdams could not be used. 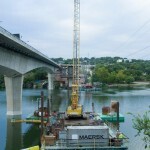 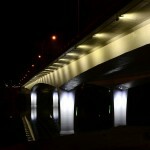 The design modification specified a hanging precast concrete footing form from the drilled shaft casings. 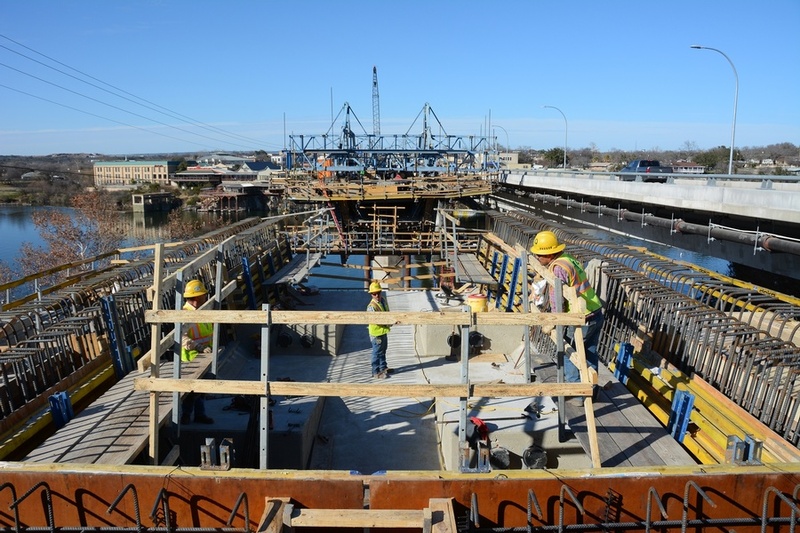 The “bathtub” style form was precast on-site and then lowered into the water with wall forms already attached, providing for a dry work environment to construct the footing. 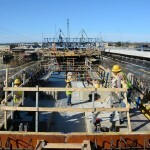 The bathtub dewatering design allowed the entire column to pour in dry conditions. 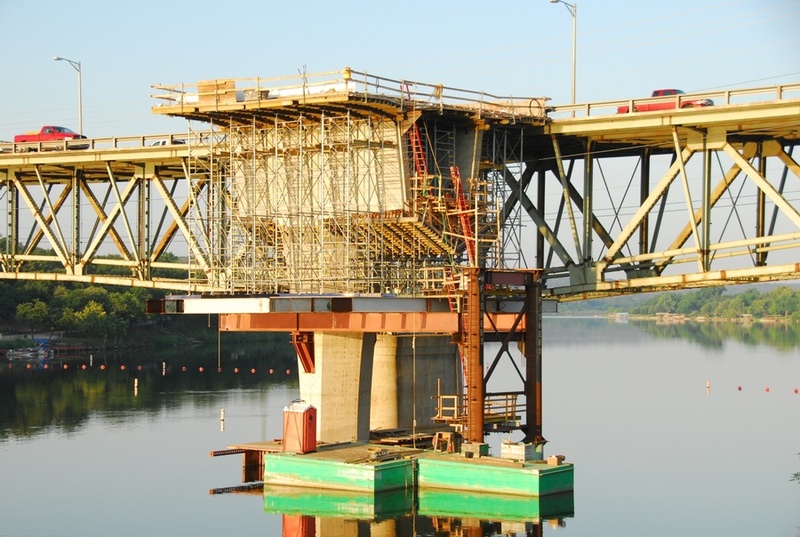 Use of FINLEY’s proprietary software made it possible to quickly develop details and thus meet the demanding schedule, including integrated segment drawings combining reinforcing bars, bolt inserts (for utilities), electrical conduits, etc. 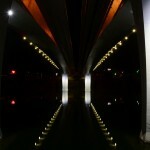 all into one drawing. 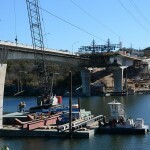 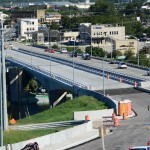 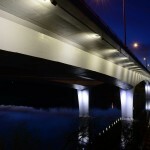 The design modifications and proposed means and methods met all project goals and provided a stunning signature, more efficiently-built bridge.